What about an evening with some good stand-up comedy? But wait, you are in Helsinki and you don’t understand Finnish, at least not well enough to get the jokes. So it probably comes down to just watching another Seinfeld episode on TV instead of having the live experience. 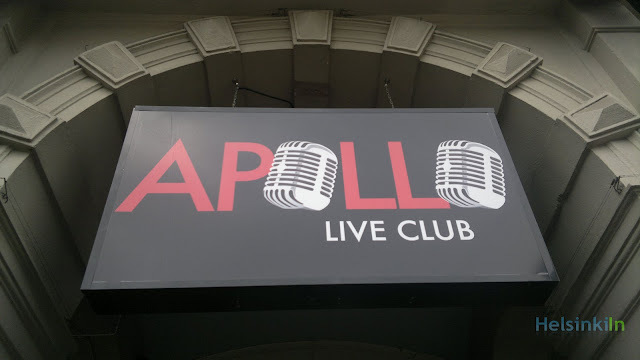 Or you just go to Apollo on Mannerheimintie. This Thursday at 8 p.m. they have their monthly English Comedy Night. Enjoy stand-up by Magnus Betner (SWE) and Ben Kersley (UK). Your host for this evening will be Louis Zezeran (AUS). The entrance fee is 15 Euros (12 for students). You can also buy your ticket online here.